If there´s a candidate for hordes of treasure hunters descending on a place in the area, it´s got to be the circular mound called Gold´s clump, overlooking the village of Hints, next to the roman A5. 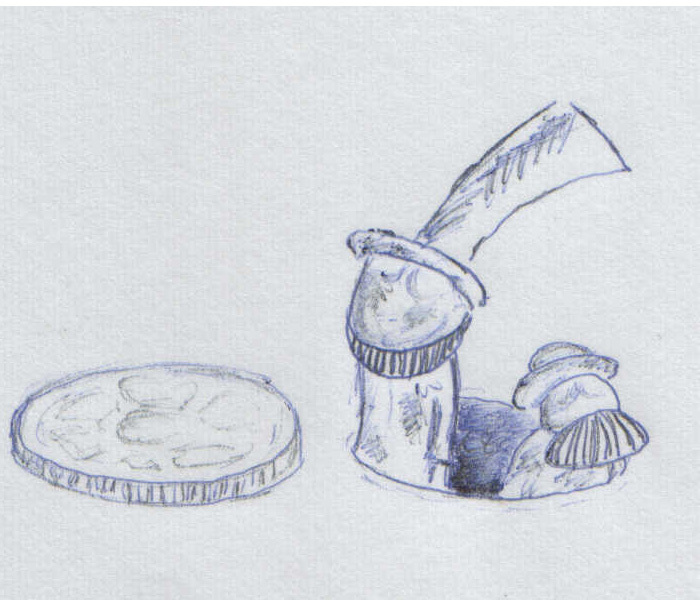 Thats not to advocate treasure hunting and wanton destruction of sites, but the idea of treasure does seem to be a very attractive one(Staffordshire Hoard) a sort of lottery ticket lying in the ground but also the metaphorical idea of treasure, or looking for treasure is very attractive. The idea of a quest for treasure, information, a lost site, etc is one of the most appealing facets of archaeology and history. Its an activity thats ‘ out of this world’ , its not mundane in the same way as looking for your keys is! even if the ´quest´ is to study paleodiets in late roman rural sites. The above candidate is a tree covered almost perfect mound on a prominent point. Considering its prominence and the fact that its next to the A5, its surprising that there hasn´t been any tunneling to look inside by 18th century learned scholar types or more recent efforts.Famous Silbury hill on the other hand even got a BBC programme called big dig commisioned by David Attenborough in the 1960´s dedicated to tunneling the hill. 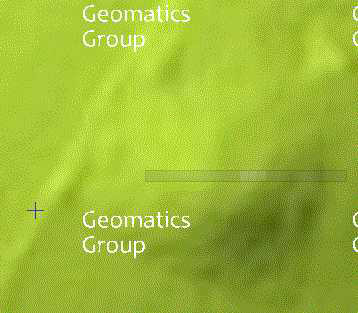 In the above LIDAR image it stands out as a spherical bump. 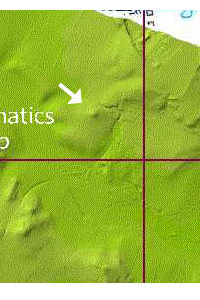 This is a slightly blurred LIDAR close up of the mound, with Geomatics group emblem splashed across it, the raised line to the left is a hedge. 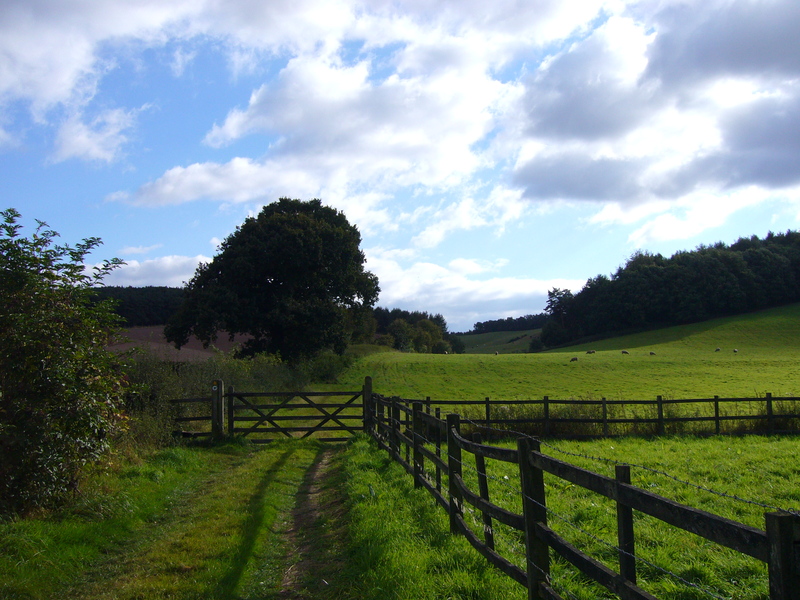 The Hints Village site has got a couple of paragraphs dedicated to the mound and talk about a possible roman or prehistoric origin, I got the sense they also wonder why despite being declared a scheduled monument there´s never been any investigations of the place. 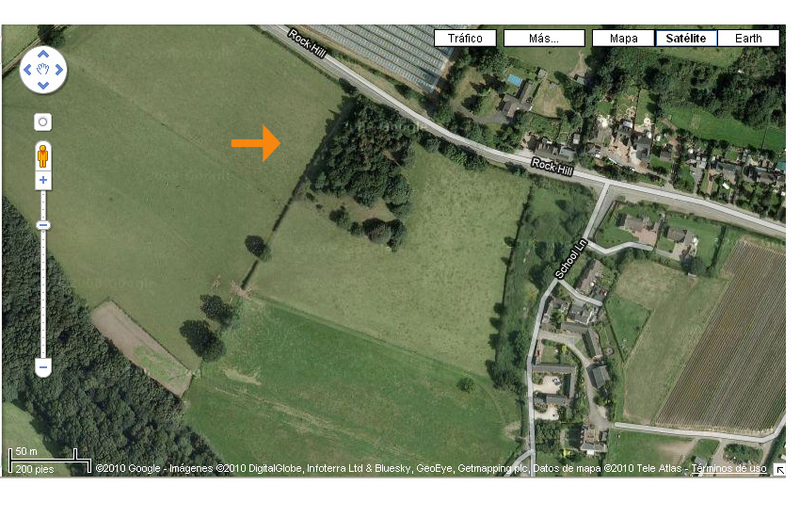 According to the site a trial excavation and the potential communication mast have been rejected. 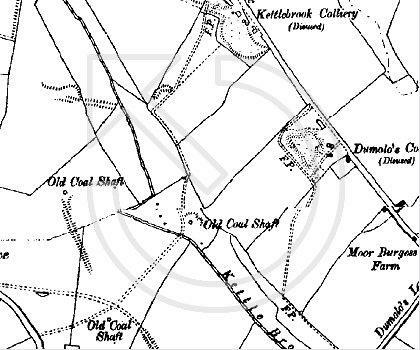 Theres a great description of Hints in Guide to Staffordshire and the Black Country by Michael Raven(online with Googlebooks) It mentions Golds Clump as a “large circular prehistoric burial mound ” He also mentions the rolling hills around Hints. The hills and tree covered ridges that surround the area are indeed captivating, there’s the feeling that you don´t want the rolling landscape to end so its best not to travel too far to avoid disappointment.